Society, Culture, and Technology Ten Lessons for Educators, Developers, and Digital Scientists . Published 2018 . Publisher: Carnegie Mellon University: ETC Press. 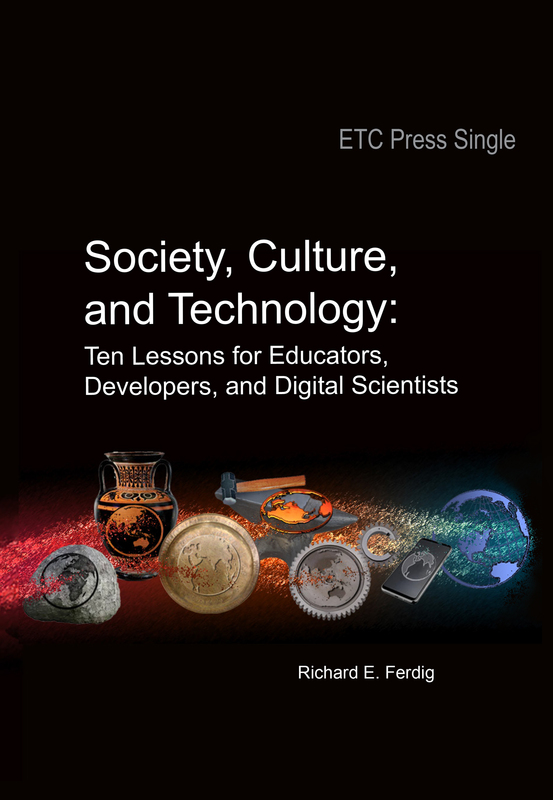 This book provides ten important lessons for educators, developers, and digital scientists who are interested in the relationship between society, culture, and technology. The text provides a discussion of current and past research with the goal of introducing direct implications for practice. Ferdig, R. (2018). Society, Culture, and Technology Ten Lessons for Educators, Developers, and Digital Scientists . Carnegie Mellon University: ETC Press. Retrieved April 25, 2019 from https://www.learntechlib.org/p/183591/.